Have a very Merry Christmas this year with Bénédictine liquor’s brand new festive cocktail, ‘Monk’s Punch’, created by Shaker & Company’s mixologist, Tim Garratt. With the usual mulled wines and spiced spirits making their appearances this winter, Bénédictine, the traditional French liquor, has decided to mix it up with a brand new tipple of its own! A smooth, warming tipple with a bittersweet edge – this festive flavour combination shows off the herbaceous notes of Bénédictine perfectly. 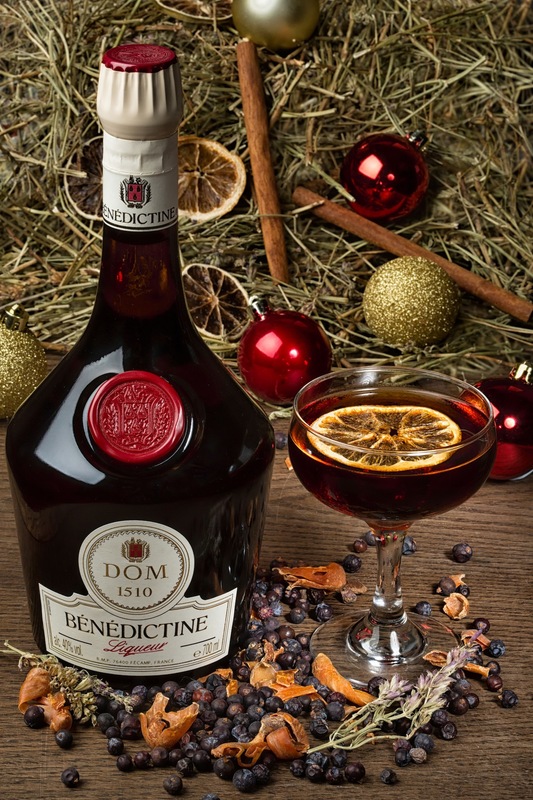 The sweetness of Bénédictine is balanced with the dryness of the Maraschino liqueur and bitterness of the Punt e Mes thus, creating the perfect seasonal serve! Created using 27 herbs and spices, sourced from around the world, Bénédictine is a versatile cocktail ingredient, which is used in popular recipes such as Singapore Sling and Bobby Burns. So, before the Christmas guests descend, follow the quick and easy recipe below and give them the perfect winter welcome! Pour all ingredients into a mixing glass, fill with ice and stir. Be sure to taste regularly to check the balance and strain into a coupette glass. Spray the oils of an orange zest over the top and garnish with either a dehydrated orange wheel or orange twist.